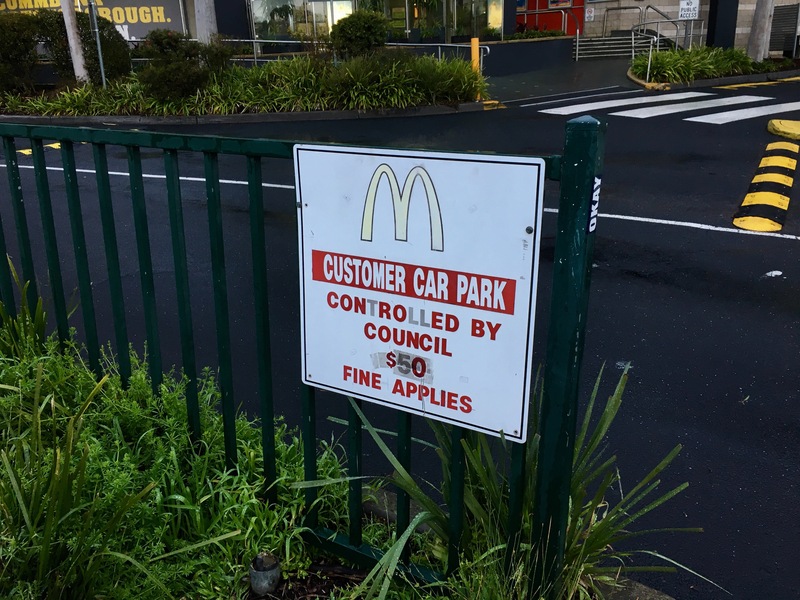 In spite of threatening signs warning them off such behaviour, local residents are frequently running the gauntlet by parking at Greensborough McDonald’s despite not attending the world’s most famous family restaurant. Signage clearly states that the prime parking positions are only for patrons popping in for a sneaky Junior Burger and McFlurry, but most people just don’t want to snake their way around to the longer term car park when they just want to grab a few things from Coles. Another factor in the common decision to flout the rules is the genuine suspicion around the “council’s” actual jurisdiction to be handing out fines for such an infringement. The sign kind of reads like a monopoly punishment and, if a fine was ever handed out, it could presumably be paid with money from the popular board game.